Soft green lights spread into the air, countless green lights floated up and down around Shaya Longnis, like a fantastic dream. In the green lights, Shaya’s body became a little more mature. Her legs were apparently longer than before, her white small feet also became more delicate and cuter. Nine green braids fell onto her shoulders, which were corresponding to Yun Xi’s nine crimson snake tails. The biggest change was the sword in her hand. Originally, the green Sky Sword was just half formed, now it became one third longer than before. Similar to Casina’s Sky Sword, Shaya’s Sky Sword also didn’t look like a sword. In fact, Shaya’s Sky Sword was a living creature. Apart from simulating the creatures Shaya had eaten, it also had an important function. The twisted Sky Sword, “Unknown”, proliferated a lot of green threads and wrapped the threads on Shaya’s slim body, transporting the information of Casina’s attack into her body. This was one of Shaya’s strongest and toughest ability. No matter what kind of attack she was facing, the green threads could always record and save the information of the attack in the sword, then help her adjust her body by analyzing the attack. After this process, the attack wouldn’t be able to cause any damage to her body again! To Shaya, she never feared to face any attack she had never seen or heard of before. Once she endured the first attack, the attack wouldn’t be effective again! “Oh, so this is how it worked.” After abstracting the scene of how Yun Xi’s fist punched through her body from the green threads, Shaya thought that she had understood Casina’s attack. No matter how strong her defense was, it would be meaningless to Casina. Casina’s punch contained terrible penetrating and shocking force. Even though her black dragon scale could invalidate tabooed magics, it wouldn’t be able to block Casina’s punch. “Her fist is even more terrible than the tabooed magic ‘Meteor Shower’!” After reading her death record, Shaya Longnis exclaimed and started to weave a type of brand new threads. This time, she gave up on strengthening the defense of her body. Instead, she made her body become more flexible and resilient. In this case, the attack she withstood would quickly spread to her whole body but not explode at one point. Just like Shaya herself, her Sky Sword could also learn and evolve itself! “Very well, let the second round start!” Shaya hid her body in the new armour she just wove. Compared to the ferocious “Demon Dragon Avatar”, this combat form was softer, but could withstand Casina’s stormy consecutive attacks by one hundred percent! After being covered in the green branches and leaves that could rapidly repair themselves, she looked like a faceless tree man, which could undoubtedly make any people cry in fear if they saw her empty face. 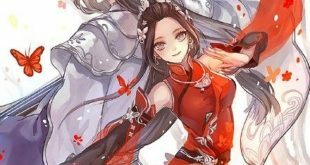 “…” Yun Xi smiled. He slightly moved his arms and legs. It seemed that Casina’s will was very happy. Yun Xi could feel the pleasure that was rising in his heart. Shaya Longnis is an interesting enemy. After all, it’s not easy to find a being that can withstand my high frequency continuous attack! Hey, hey, are you saying that she is a qualified punching sandbag? Let me continue the attack! “I won’t be defeated twice by the same attack!” Shaya Longnis had confidence in her new body. After all, she was the strongest slime that could evolve into an ultimate creature! The Battle God was doomed to be just a stumbling block on the road of her life! “Peng!” Yun Xi’s fist punched at Shaya’s body the second time. However, the feeling of the punch was different this time. Yun Xi felt as if he was punching on a soft thread, most of his power was absorbed. “Hu!” Shaya struck back. Her fist was as fast and accurate as Yun Xi’s fist. This was also one of her abilities. She didn’t pay attention to martial arts just because she didn’t think it was necessary in the past. After being beaten badly by Yun Xi, she quickly adjusted her mood and started to learn this technique. She could record and absorb the abilities of the beings she had eaten. With this cheat like ability, she could learn everything easily. Moreover, her physique was far better than mankind’s physical endowment, so her fist was even faster and heavier than Yun Xi’s fist! However, she still lacked something. After all, martial arts was a technique that was inherited from generation to generation and was still constantly developing. Shaya Longnis could replicate her enemy’s attack 100%, but she didn’t have the experience to use her “martial arts” at the right time, which was the so-called “sense of battle”. “Sense of battle” couldn’t be learned from analyzing the data of battle. It could only be firmly remembered by the body after countless life-and-death battles. Yun Xi didn’t even look at Shaya’s fist. He just hit her with his shoulder and swayed his body, then had discharged Shaya’s fist. The next moment, his uppercut straightly hit on Shaya’s chin! “Ga la!” A look of surprise came over Shaya’s face. She found that she had bit through her tongue. Why? Didn’t I record the strength and frequency of his attack? Why was the strength and frequency of his punch totally different from before?! Before Shaya figured it out, Yun Xi had already kicked her waist. Like cutting a gob of butter with a hot knife, Yun Xi’s kick tore her body into two pieces.